The teen version of Covey’s 1989 classic works through the same positive habits as the original, but with a focus on uniquely teenage issues. This fresh context brings the content of the original 7 Habits… to light in ways that teens themselves report as both relevant and powerful. As a parent or educator, be advised that the book contains some frank discussions about some heavy topics (including depression, sexual abuse, and drugs). That being said, being a teenager today means grappling with a litany of heavy issues including things such as cyberbullying and sexting that weren’t even part of adolescence as recently as two decades ago. No parent wants their teen to experience these hardships, but the reality is that they are out there. Equipping your teen with the skills and confidence to face these challenges is a better choice than trying to shelter them in the hope that ignorance alone will be protection enough. The 7 Habits of Highly Effective Teens is a solid way to open a dialogue about what teenage life today is really like while, at the same time, helping to prepare your teen to face life’s challenges head-on in the most positive and effective ways possible. If even one of these areas seems like an area your teen could stand to improve, reading through a copy of Sean Covey’s The 7 Habits of Highly Effective Teens together is a worthwhile investment. 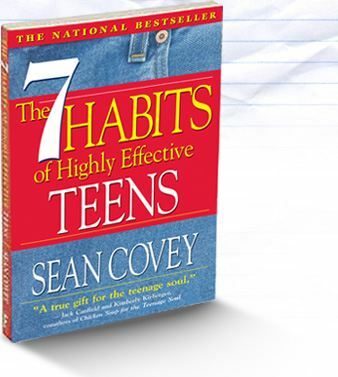 Have you read The 7 Habits of Highly Effective Teens ? How has that experience shaped conversations and understandings about facing the challenges of adolescence and beyond? Share your thoughts with our readers in the comments below and on social media! I haven’t read the book, but it does appear to be a worth-while read. As a teacher of teenagers, I am always looking for ways to help my students learn to guide themselves towards being the best people they can be. Of all the habits listed, I am most interested in “Sincere Empathy”-I think that more than anything would create in my students the kind of adults that I would be happy sending into the world. Thank you for sharing this resource!